Gold futures declined on the final trading day of October, making for a bit heavier monthly loss — their second in a row. Other precious metals, however, scored at least modest monthly gains. Gold for December delivery shed $7.20, or 0.6%, to settle at $1,270.50 an ounce on the Comex division of the New York Mercantile Exchange. senior market analyst with OANDA. Gold futures lost 1.1% in October after falling 2.8% in September. The yellow metal rallied a combined 5.7% in the five months of straight gains prior to September. Gold is 10.3% higher so far this year. Elsewhere, silver for December delivery dropped 15.4 cents, or 0.9%, to settle at $16.693 an ounce. The close is the lowest since Oct. 5 when prices ended at $16.638 an ounce. Still, silver futures edged up 0.1% this month after tumbling 5.1% last month. They are 4.4% higher on the year to date. January platinum slipped $3.10, or 0.3%, to $919.60 an ounce, but moved up 0.5% in October. Palladium for December delivery tacked on $16.50, or 1.7%, to $979.15 an ounce, for a 4.5% monthly increase. Both metals are higher for the year so far with respective increases of 1.5% and 43.3%. 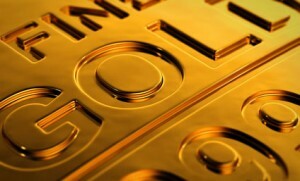 Gold declined $1.85, or 0.2%, to 1,270.15 an ounce. Silver rose 8.5 cents, or 0.5%, to $16.82 an ounce. Platinum fell $3, or 0.3%, to $915 an ounce. Palladium added $9, or 0.9%, to $977 an ounce. In October, palladium surged 4.5% while the other LBMA prices registered losses of 1% for gold, 0.2% for silver, and 0.5% for platinum. They have year-to-date gains totaling 9.6% for gold, 3.6% for silver, 0.9% for platinum and 44.5% for palladium. American Eagle gold coins advanced by 15,500 ounces in October, up 34.8% from the 11,500 ounces sold in September but down 86.6% from the 116,000 ounces delivered in October 2016. Year to date sales at 247,500 ounces are 69.4% lower than the 808,500 ounces moved during the first ten months of last year. American Eagle silver coins climbed by 1.04 million ounces in October, representing a 225% increase from the 320,000 ounces sold in September but a 72.8% decrease from the 3,825,000 ounces sold in October of last year. 2017 Silver Eagle sales at 16,938,500 are down by about half, 50.8%, from the 34,400,500 delivered in the January to October period of 2016. American Buffalo gold coins advanced by 7,000 ounces in October for a 366.7% increase over the 1,500 ounces sold in September and a 75.4% decline from the 28,500 ounces delivered in October 2016. Year to date sales at 83,500 ounces are 53% lower than the 177,500 ounces moved during the same months last year. Sales of America the Beautiful Five Ounce Silver Bullion Coins remained muted for a second month in a row. They will climb around mid-November with the release commemorating Indiana’s George Rogers Clark National Historical Park. Five-ounce coin sales for the year so far at 575,000 ounces are 53.8% lower than the 1,245,500 ounces sold through the same ten months in 2016.